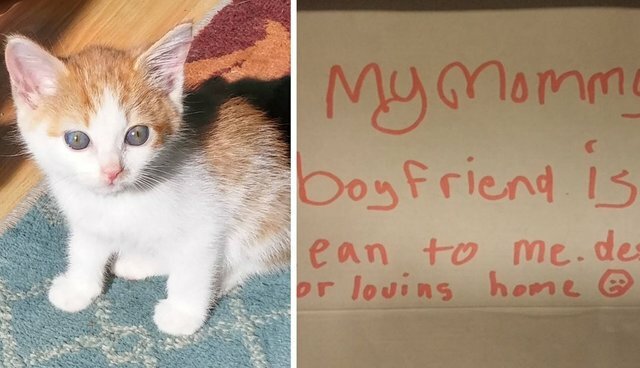 When a Washington woman opened an ordinary box on the street, she was surprised to find an abandoned kitten inside, but it was the gut-wrenching note she discovered alongside the tiny cat that touched even veteran animal rescuers. 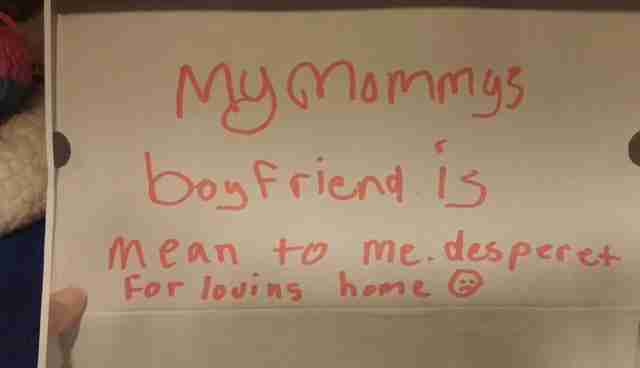 "My mommy's boyfriend is mean to me," read the message, penned in the simple handwriting of a child. "desperet [sic] for loving home ☹"
According to Kirkland-based MEOW Cat Rescue, which ultimately took in the kitten, the animal's savior was walking her dog when she came across the box bearing the child's sad plea. "Her dog sniffed the box with interest and her intuition told her to check it out," wrote MEOW on Facebook Thursday. "When she looked inside, she found the little fluffy being. A tiny and perfect kitten, at the mercy of whomever found the box." 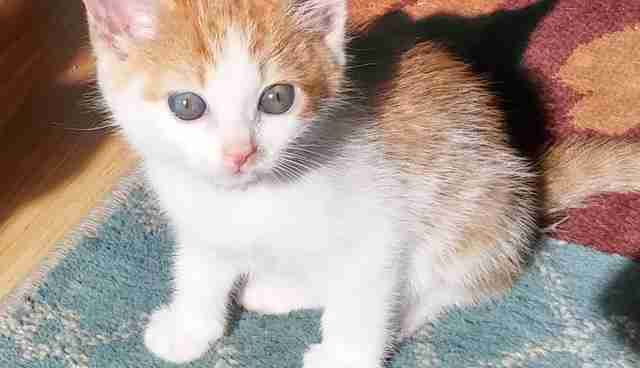 While a little thin, the kitten was found to be in generally good health and is doing well living in a foster home with similarly aged kittens, according to MEOW. The shelter says she won't be available for adoption for several months. "We have more questions than answers," wrote MEOW, "but are forever thankful for the bravery of the child who knew the kitten deserved better and the kindness of the woman who saved the kitten." Understandably, many concerned commenters expressed worry about the welfare of the child who left the note. "Yes," wrote MEOW on Facebook. "This is the very same concern we have." To meet MEOW's currently adoptable pets and learn more about the organization's mission to create a "no-kill nation," click here.